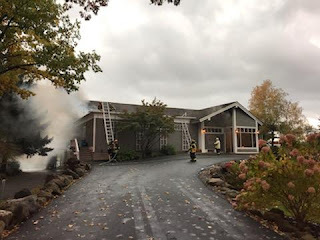 Volunteer firefighters were called out at 4:09pm for the automatic alarm at 1850 Five Mile Line Rd at Shadow Lake. 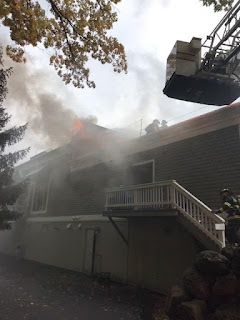 1st Lieutenant 3C77 arrived within a few minutes of the alarm and immediately called for a working fire as flames were coming out of the roof line and vent fan over the kitchen area. The first engine in dragged two lines through the front door and began fire suppression in the kitchen and upper office areas. 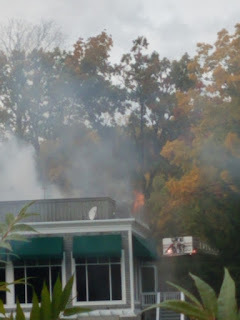 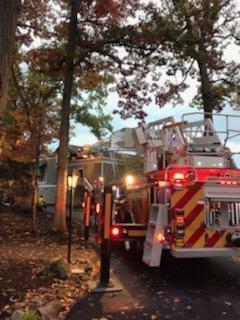 The first due ladder set up and sent crews to the kitchen vent stack to begin opening up the roof. 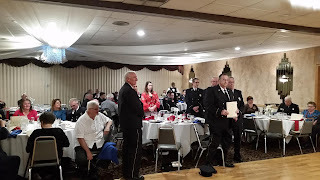 Penfield volunteer firefighter earns 'Educator of the Year' award from the Monroe County Volunteer Firemen's Association, Inc. If you have children in Cobbles, Harris Hill, Scribner, the St. Joseph Catholic Church School, the YMCA program, or the Penfield Village Nursery School or perhaps you've stopped by the fire station at the four corners with the little ones for a quick tour then you may have met Brian and Sparky and seen their magic. Brian has now been running the Penfield Fire Prevention Program for 17 years and it has come a long way from being just simple fire prevention message to a an interactive educational session. 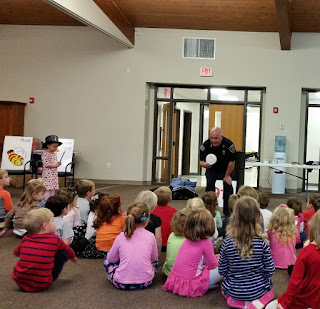 He has taken the fire prevention concepts of stop drop and roll, the emergency number of 911, and EDITH (Exit drills in the home) and turned in into a magic show which keeps the children interested and allows them to be interactive with the magic while learning those important lessons. 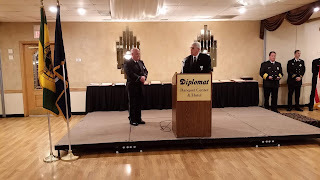 Last night he was awarded the Educator of the Year award for all his hard work and dedication. 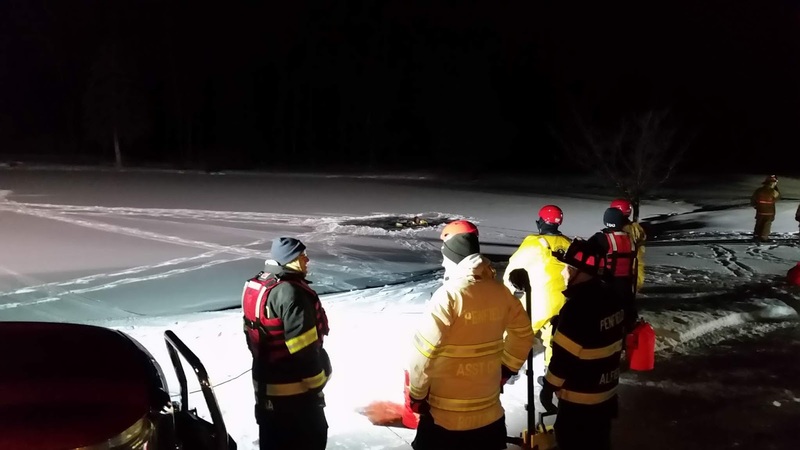 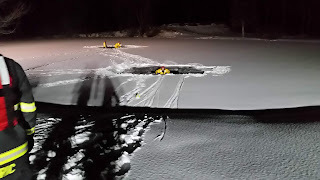 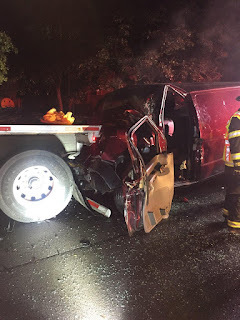 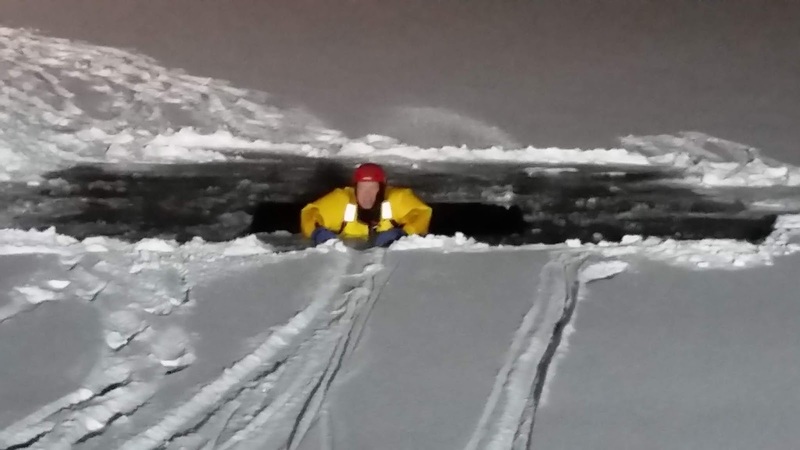 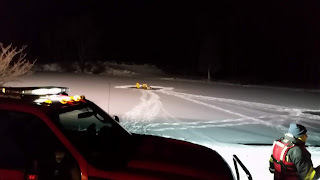 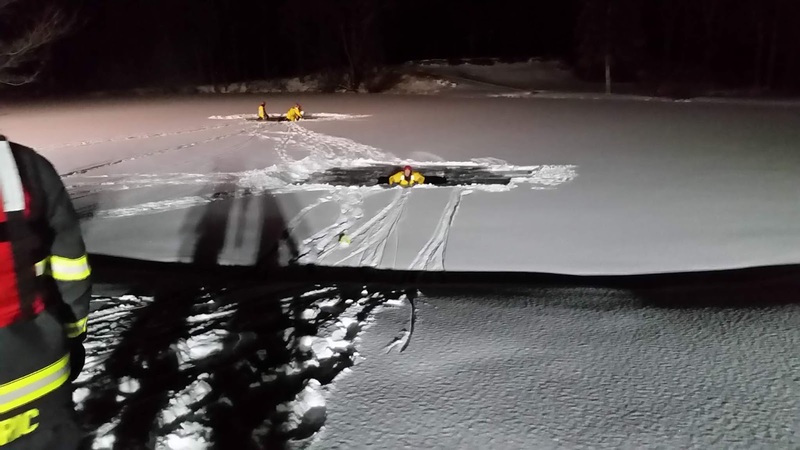 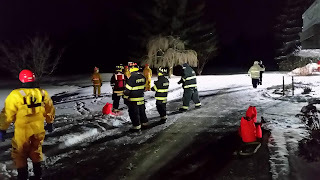 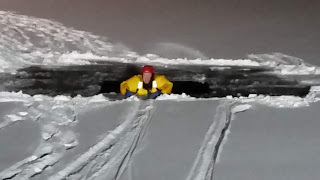 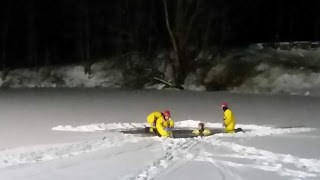 Volunteer firefighters were up late last night with multiple calls, one being very serious. At 12:30am Wednesday morning an Automatic Fire Alarm came in for a business on Nine Mile Point Rd. 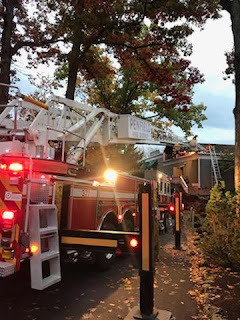 It was a false alarm and crews were not out very long returning shortly after. As firefighters began to leave the station and make there way home a second call came in for a car accident with a person trapped on Penfield Rd in the area of Liberty Street, west bound. 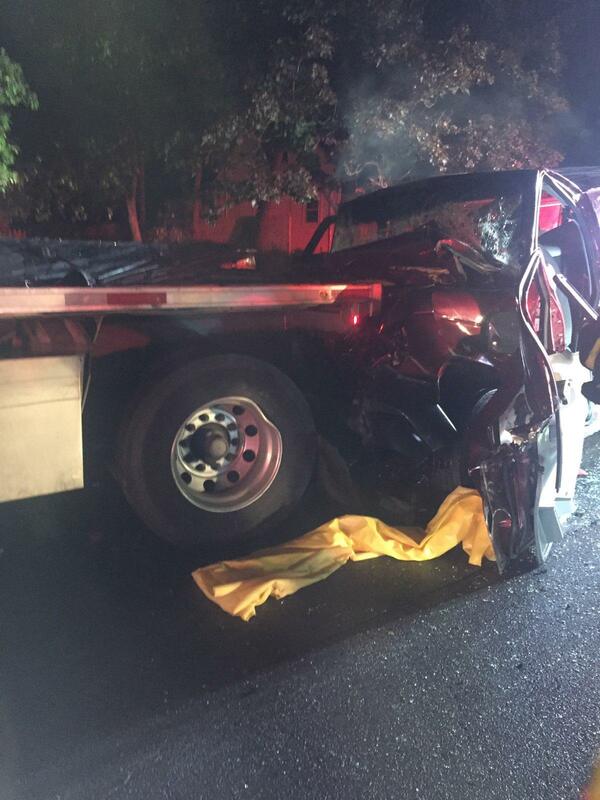 Fire trucks were on the road quickly to find a van had smashed into the back end of a trailer of an 18 wheeler. 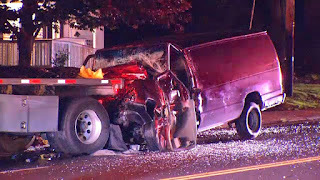 The driver of the van was trapped in the crumpled vehicle. Crews cut the doors off the van to gain access and remove the patient who was taken to an awaiting ambulance. 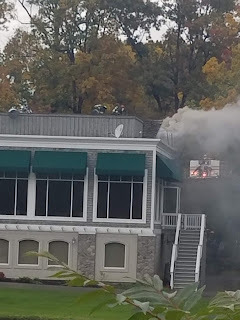 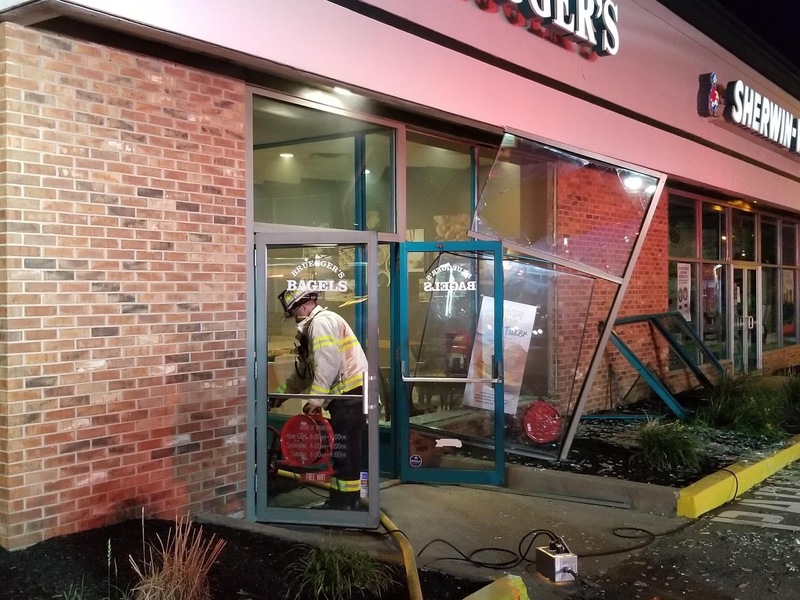 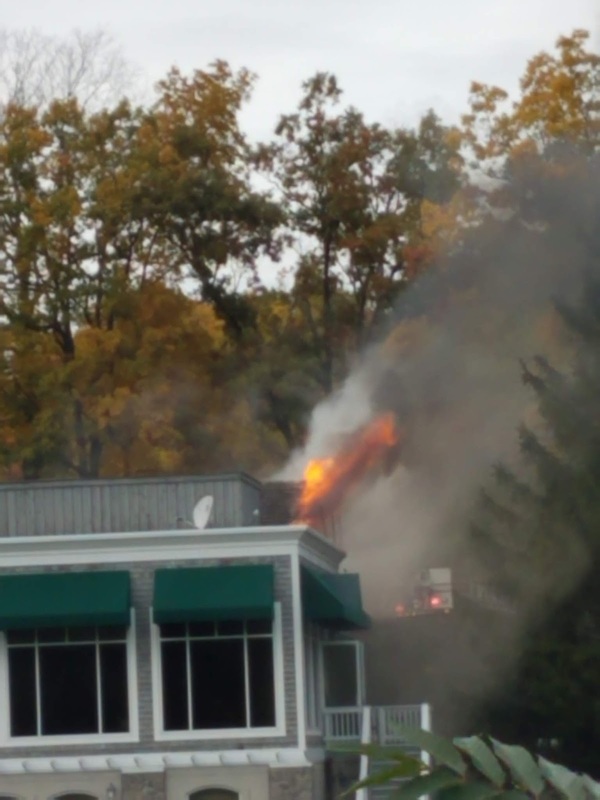 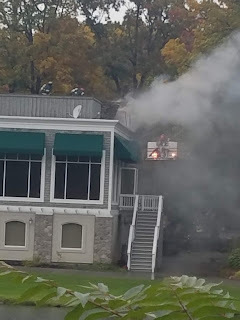 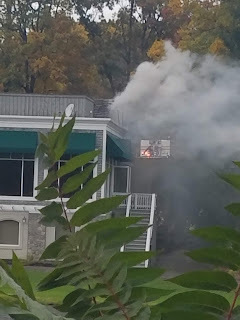 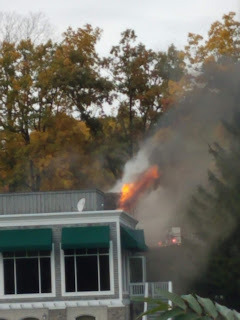 Volunteer firefighters were dispatched to the Bruegger’s Bagels located at 2200 Penfield Road at 0457 hrs this morning for the report of an explosion. 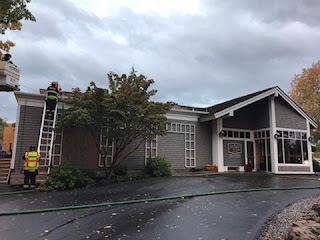 The first arriving Chief Officer after making sure everybody was out of the structure reported smoke coming from the building with the front of the store blown out. 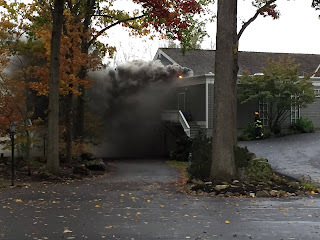 Upon further investigation it was determined that there was an active fire inside the kitchen area. 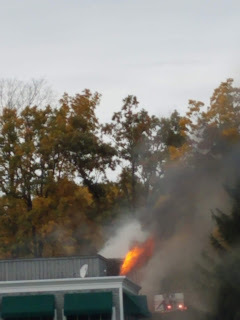 When the explosion actually happened there were two employees were inside the structure who were able to exit the building prior to the arrival of responding units. 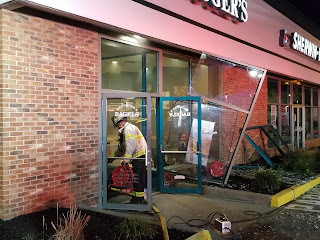 Remarkably neither were injured. 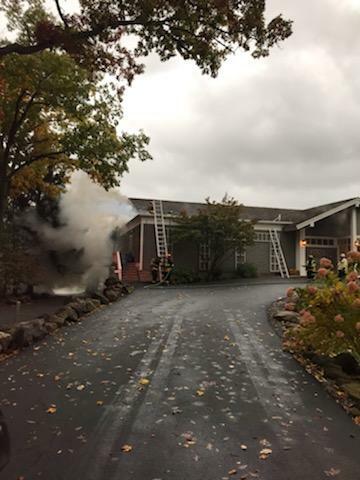 Crews quickly extinguished the fire and secured the gas to the structure. 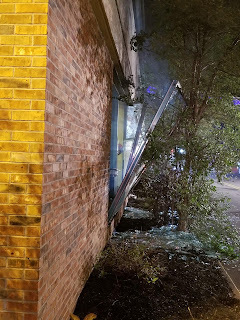 The adjacent Sherwin Williams store sustained some damage to ceiling tiles as well as paint containers that were knocked off the shelves. 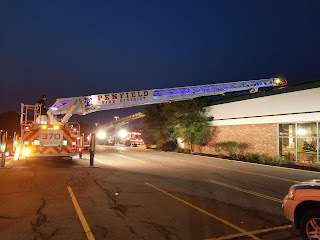 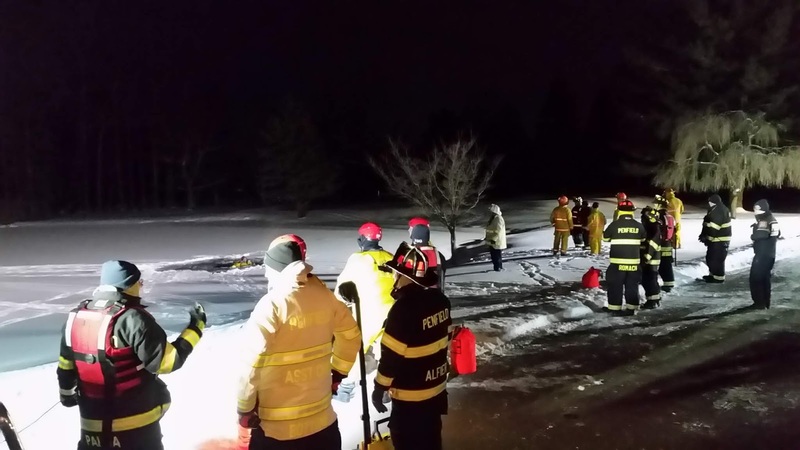 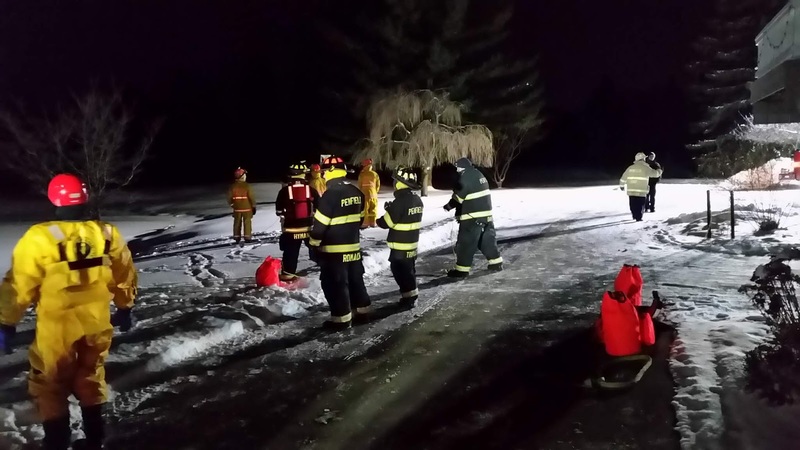 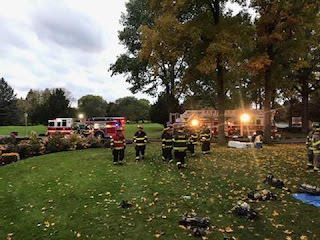 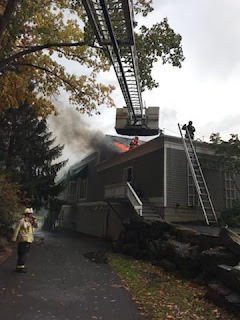 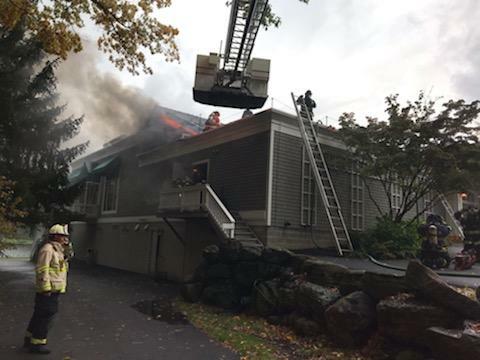 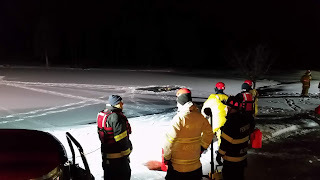 Penfield crews were assisted on scene by Fairport Fire Department while East Rochester Fire Department provided a fill in. 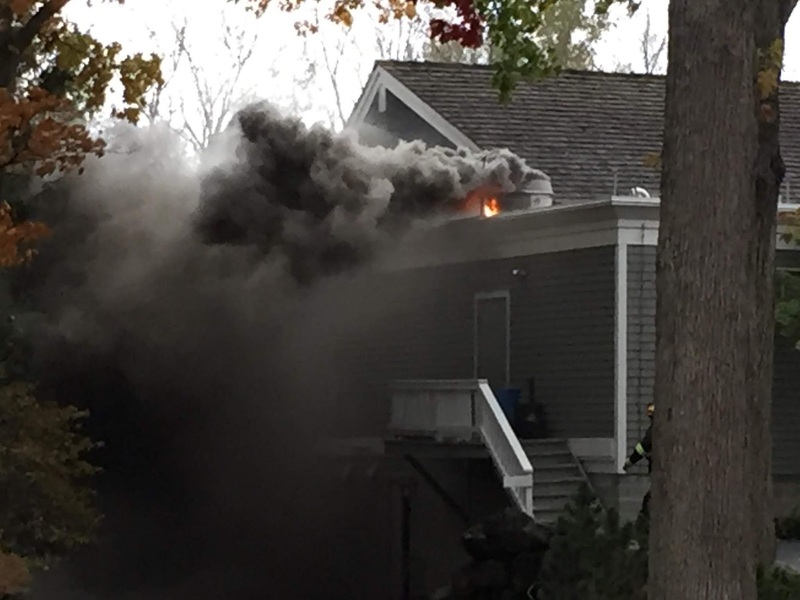 The explosion appears to have originated in the area of an oven. 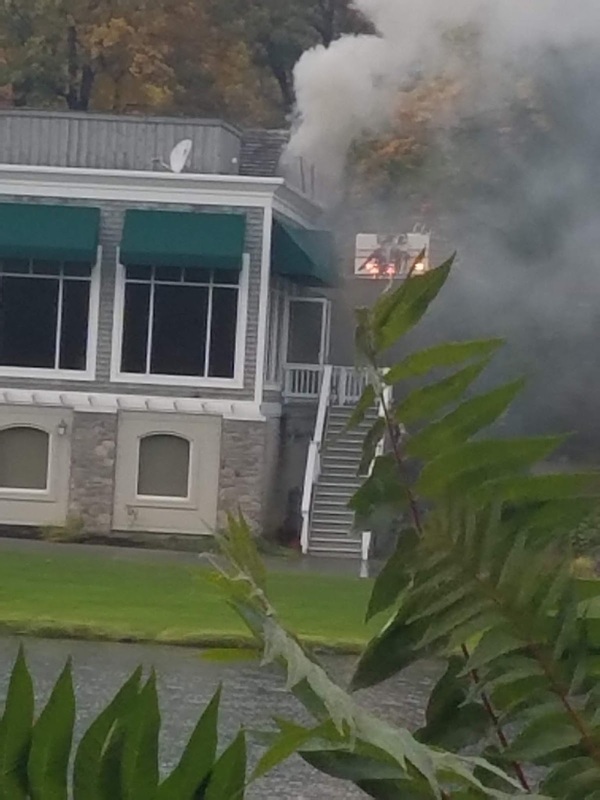 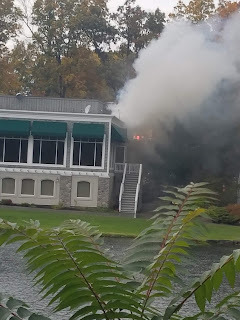 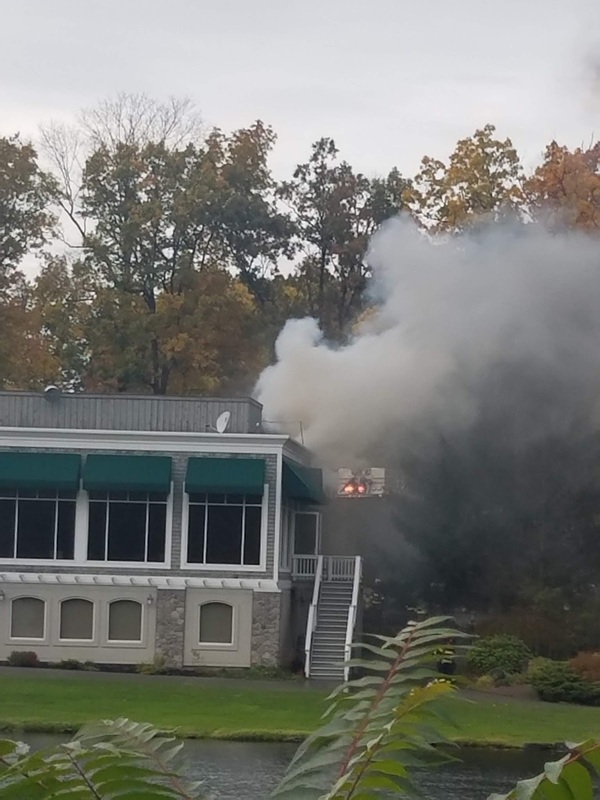 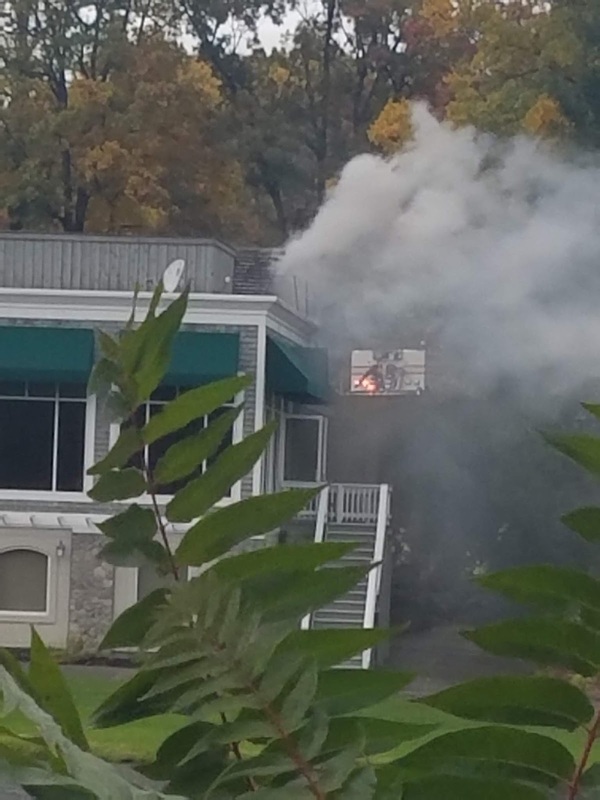 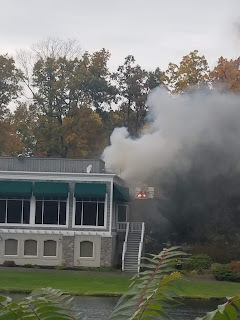 The exact cause of the explosion is being investigated by Rochester Gas and Electric and the County Fire Investigation Unit.